The front panel is made with SUS 304 1.5 mm thick stainless steel. The side panel is made with SUS 304 1.0 mm thick stainless steel. The base panel is made with SUS 430 1.2 mm thick stainless steel. The stoves utilize European-style water-proof burner with a specially designed hidden igniter that prevents it from becoming damp. 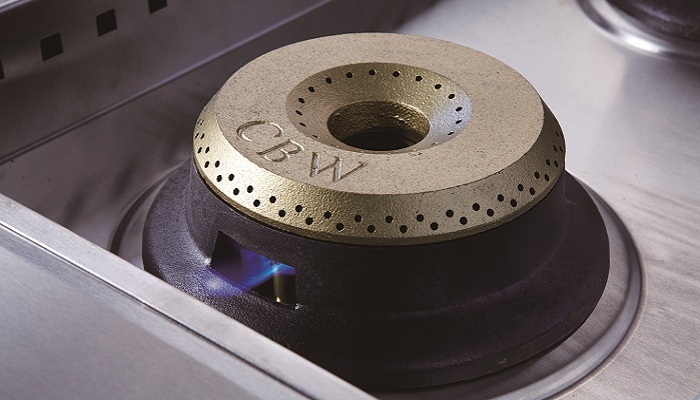 Each burner can provide a 10 kw high efficiency flower pattern flame for use on different cooking ware. Comes in both natural gas and liquefied gas models. Hidden igniter that is designed to prevent moisture and oil, and can be used to adjust the strength of the flame. The switch utilizes an explosive proof safety valve. Continuous pulse electrical ignition is used for all the burners and the oven. All the stove and oven igniters are designed with our special “pin-press” gas outlet cleaning function to facilitate maintenance and cleaning. The oven door is made with wave pattern SUS 304 1.0 mm stainless steel panel. The walls of the oven are insulated with fiber glass to reduce heat loss and ensure maximum heat retention. Special strengthened hinges significantly increases the weight that can be supported by the oven door. The oven door handle employs an aesthetic collision-proof design. The oven is insulated on all sides with heat-resistant fiberglass to produce consistent temperature inside the oven. Venting holes are in the back of the oven. H-shaped heating element is used inside the oven to produce consistent and stable heating. Continuous pulse electrical ignition is used for the oven ignition system. 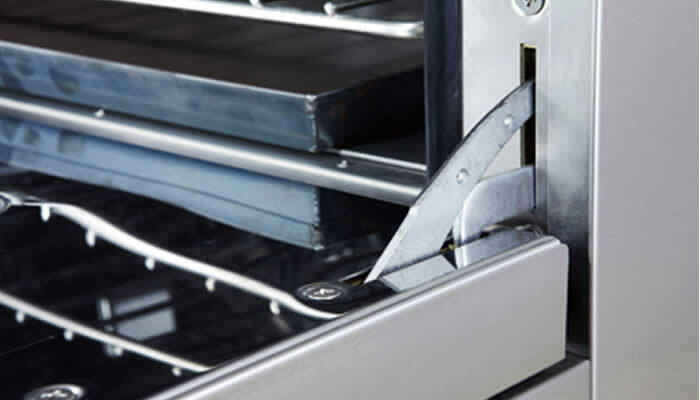 The edges of the oven are installed with heat-resistant protective strips. 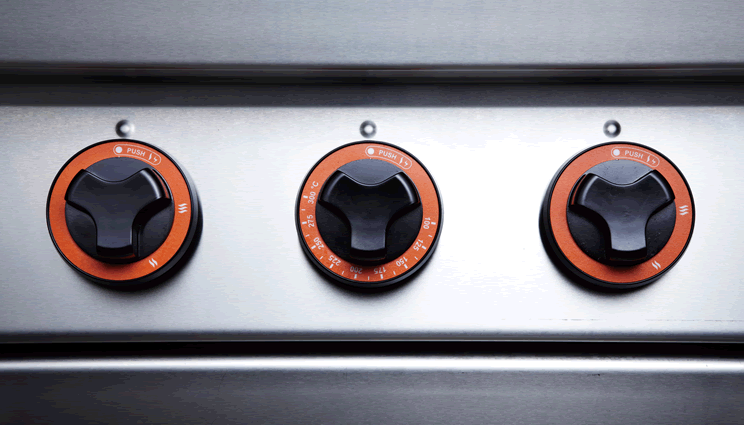 The rack can be placed in four different positions inside the oven. The oven uses a safe explosion-proof switch and temperature control system. Oven temperature range: 100 – 300°C. Hourly gas flow: 168000 BTU/42000 Kcal. Comes with a residue collection pan, a roasting pan, and a roasting rack. Comes with four height adjustment legs. A GN 2/1 pan can be placed inside the oven. Copyright © 2016 ChuBarWang all right reserved. Designed by Targets Interactive media inc.